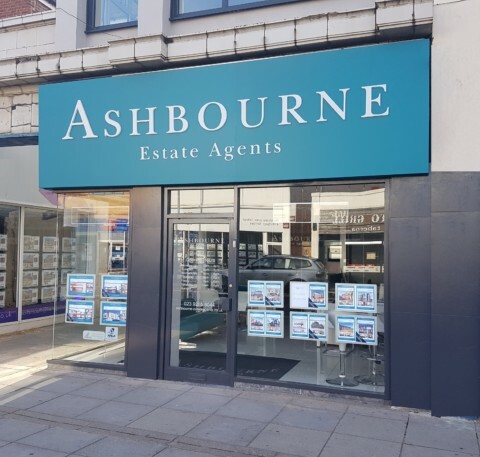 The team behind Ashbourne Estate Agents have been established in Portsmouth since 2006. With over ten years experience and a high number of properties facilitated through our agency, you can be confident your property is in safe hands. Whether you’re buying, selling or looking to rent, you can expect to receive the same quality customer experience every time. You’ll love our innovative approach sell or let your property as quickly as possible. With incredible reach, our marketing gets your home noticed and aims to attract the most potential buyers or tenants possible. Nothing is more important to us than your satisfaction. When you work with us, you’ll see our passion for estate agency and property shine through. All Guild members meet stringent professional criteria, such as signing the Guild code of conduct; they must be members of a suitable redress system, and have appropriate Professional Indemnity in place. Members are checked for compliance with key legislation such as registering for Data Protection and Money Laundering. The Guild expect all member agents and their colleagues to undertake the Guild Associate Examination, as a simple but visible demonstration of their commitment to the key values of the organisation. Christopher Wilcox Branch Manager Chris has worked in the property industry for more than 13 years. Chris worked in the past as a Branch Manager for a large corporate estate agency. Chris worked has also worked as a CeMAP qualified Independent Mortgage Consultant aswell as running an Estate Agency franchise. His career has taken him from valuations, viewings, customer service through to selling and financing homes. Chris’ expertise brings an understanding of corporate agency combined with the friendliness of an independent local agent. Russell Pratt Negotiator Russell has worked in the property industry for more than 3 years. He worked previously for a well known referencing agency where he was responsible for vetting prospective tenants on behalf of of letting and estate agents. Russell progressed to front line sales working from business to business which is where he found a genuine passion for the property industry. This led to him securing his position with Ashbourne Estate Agents; Russell has excellent communication skills and works hard building relationships with all clients across sales & lettings. Richard Fowler Financial Consultant - Cert CII (MP)(FPC) – Financial Planning since 1998 Richard started his career in financial services 20 years ago working for a high street bank and has specialized in mortgages and property finance since 2004. Being independent he has access to the whole market and has a passion for finding the best solution for his clients whether they be experienced investors or first-time buyers looking to take their first steps on the property ladder.